Looking for the best drone for travel? With so many choices and new models being recently released it can be tough to decide which drone to purchase. 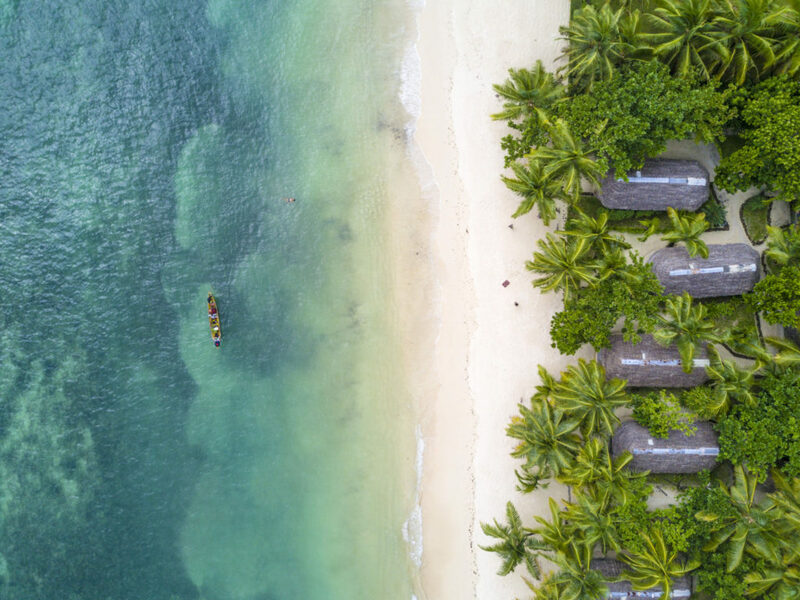 To help you find the right drone for travel I polled my fellow travel bloggers and photographers for their pick of the best travel drones currently on the market that they use and love. 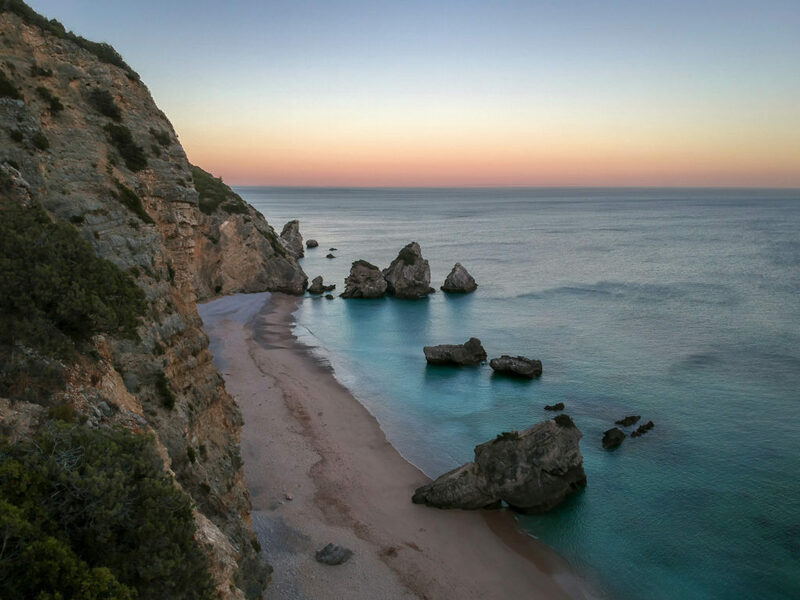 The drones below were the most popular drones with the expert travelers. Before reading their recommendations, there are a few factors to think about when deciding on a travel drone. How important is photo and video quality? Are you hoping to take professional quality photos or just want to fly a drone for fun and share your photos on instagram? You will have to pay more for a quality travel drone but if you just want any drone, there are a lot of affordable options. Drones come in a wide variety of prices. Some drones cost less than $100 while some of the best drones cost upwards of $1000. Keep in mind that some of the newer models will be more expensive, so it might be worth it to buy an older model until prices are lowered. If you are planning to travel with your drone rather than use it at home, you need to keep in mind the size and weight of the drone. 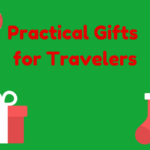 Some of the drones below are super small, which makes them easier to pack especially for those travelers that like to travel with carry on bags only. Some drone are foldable, making them easier to carry. Another factor to think about is the maximum flying time of your drone. Some of the drones on this list have approximately 30 minutes flying time while others have significantly less. 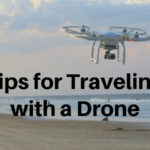 RELATED – If you decide to buy a drone for travel, make sure to check out our post on tips for traveling with a drone. Below are the best travel drones as recommended by my fellow travel bloggers. Currently I’m using a DJi Mavic Pro (first version) as a part of my photography equipment – and I’m so satisfied with the results. Before I bought the DJi Mavic I thought it is really hard to fly a drone – but I was wrong! It’s as easy as using a camera, and the results are simply out of this world. Sure, the quality of the DJi Mavic Pro can’t be compared with a DSLR, but the image quality is excellent and in combination with its small size, good battery life and affordable pricing. For me, the DJi Mavic Pro is a perfect option for travelers, even with the new release of the Mavic Pro 2. The DJI Phantom 4 Pro is perhaps the company’s most iconic drone. You can’t go wrong with this quadcopter. It features an amazing camera with a 1” CMOS sensor that creates high quality images and video. Its five direction obstacle sensing and Intelligent Flight Modes make it a great travel drone. On the downside, it weighs around 3 lbs and unlike some other drones, it doesn’t fold down to take up less space. This is a small price to pay if you’re looking for the kind of top tier performance it offers though. Recommended by Patrick from Adventographer. 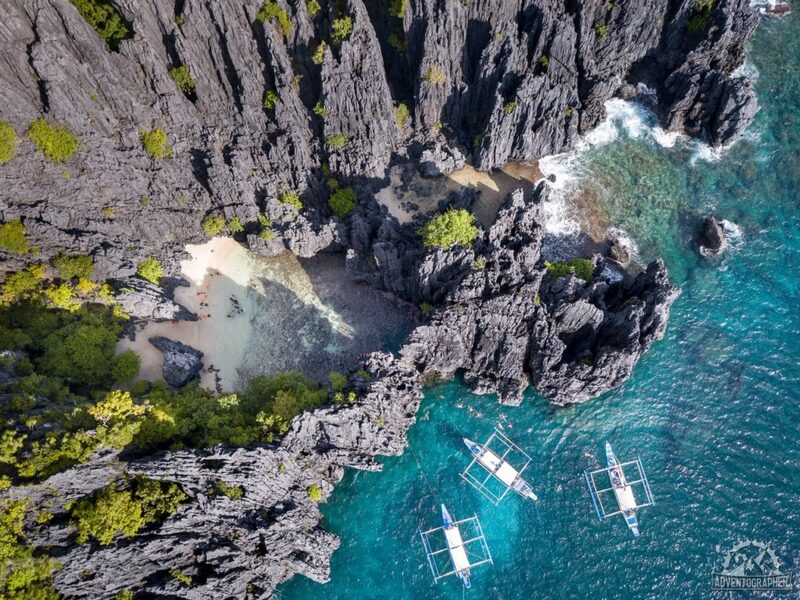 Below is a photo taken by Patrick with his DJI Phantom 4 Pro in the Philippines. You can call me Drone Idiot, the DJI Mavic 2 Pro is my 4th drone. I previously owned DJI phantom 4, DJI Mavic 1, DJI Mavic Air and now Dji Mavic pro. 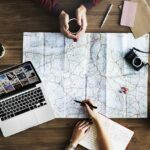 While there are disadvantages and advantages, but when it comes to travelling with a drone so is there a few things you definitely need no matter which drone you choose. Dji Mavic 2 pro is not only one of the very best drones on the market when it comes to photo quality, but it also has one of the best batteries on the market, lasting up to 31 minutes which is a huge advantage when travelling and you won´t be able to recharge your batteries every day. The brand new DJI Mavic 2 Pro is one of the two newest models from DJi released in August 2018 and was recommended by Christian from Unusual Traveler. Below is a photo taken with his DJI Mavic 2 Pro. Looking for a small and portable drone but still want that high-quality 4K footage? Look no further because the DJI Mavic Air satisfies all your photography and videography needs. From intelligent flight modes (such as ActiveTrack, Asteroid, and Boomerang) to capturing high quality HDR photos, this is the perfect drone for both beginners and advanced pilots alike. Its foldable design makes it easy to carry for any adventure and its advanced VIO technology is able to detect and avoid obstacles. The DJI Spark is Dji’s smallest and most affordable drone, and those were the two main reasons we chose it! The price tag for the Fly More Combo is quite affordable, and its small size makes it easy to carry around during our travels. It’s also important to underline how light it is, with a takeoff weight of only 300g it means the drone is still not under strict regulations in some countries, that tend to focus on heavier options. One issue we do have with the Spark is the short battery life, that in reality means a flight time of around 10 minutes. However, the Flight More Combo already includes an extra battery. The Dji Spark is a simple option for beginners, as it doesn’t offer many of the options included in other Dji Drones, but it is your best option if you want to take it everywhere and travel light! The GoPro Karma system is more than just a drone its an all around image capture system. The Karma consists of a Drone, a stabilization stick and a GoPro camera. This unique system all comes packed in its own backpack so that you can take it anywhere, through airports, hiking mountains or walks on the beach. The star of the Karma system is the 3-axis gimbal stabilization stick that keeps all your GoPro footage smooth and even. The Gimbal is interchangable and is used on both the stabilization stick and the Drone. This makes your your YouTube clips look great both on and off the ground. The Karma Drone has a flying time of around 18 minutes and is easy to fly. The draw back of the Karma is that it does not have an avoidance system so it wont warn you when you are about to crash into something. The Karma has a range of 3 km, but your are not likely to achieve that. The Drone comes with 5 preset modes for different filming experiences. The gimbal allows you to move the camera view up and down with ease during flight. A mobile app called passenger by gopro lets your friend or partner connect to the Gopro camera while you are flying and they can take pictures. 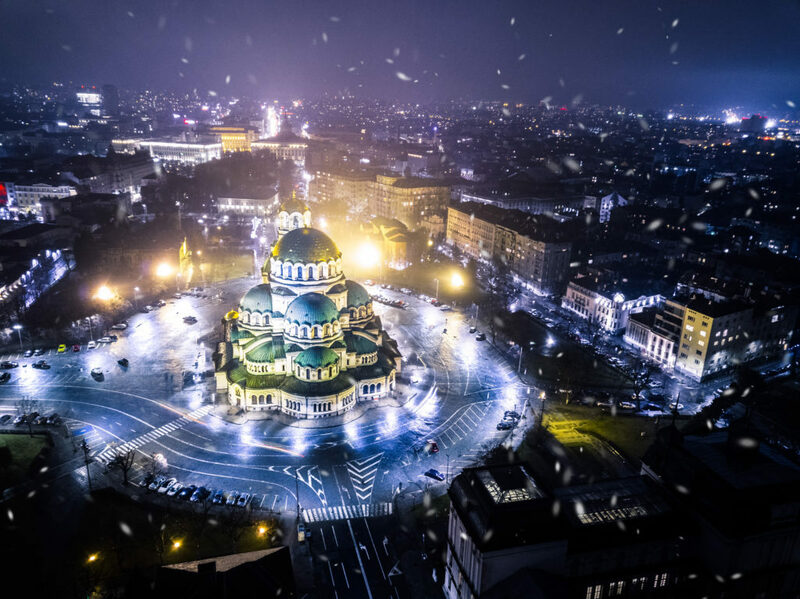 The Karma delivers amazing drone footage when filmed in 4k. The Karma system comes with or without the camera (yes you need a GoPro camera). The GoPro Karma was recommend by Mark Wyld from Wyld Family Travel. 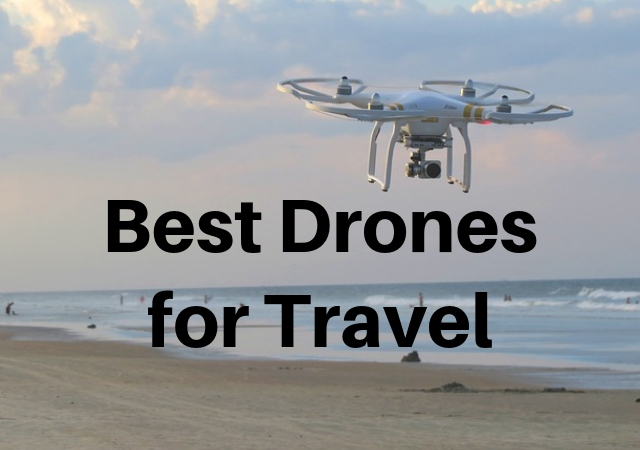 So there you have it, the best travel drones recommended by travel bloggers that use them. Photos from drones are so cool! This is a great guide for figuring out which one to get. I am not ready to figure out how to use one yet, but maybe someday! Great post, very informative and certainly helps me consider drone options/features. I had never thought that the battery life was so poor. Thanks for bringing that up. A lot of my friends have DJI Mavic Pro and that’s the only one I know of, in the professional category. However, I do find a little bit over my budget so it is good to know of other options available which are more affordable. DJI Spark sounds like a good one I can buy, at least for me to get comfortable with using one, and then decide if I feel the need to upgrade. DJI is known to make amazing drones and if I can get something affordable from there, then nothing like it. Thanks for the suggestions listed here!